She was born May 21, 1943, in the town of Eagle Point, Chippewa County to Bertha (Popple) and Franklin Pierce. 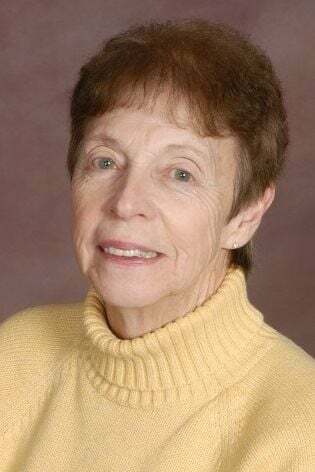 She attended Popple Lake Grade School, and graduated from Chippewa Falls High School, class of 1961. She is survived by her four children, Robert “Bob” (Staci) Marek of Chetek, Michael (Peggy) McNulty of Barron, Mark (Chris) McNulty of St. Roberts, Mo., and Joel McNulty of Whitehall; two sisters, Marilyn Gunderson and Beverly Nengas, both of Chippewa Falls; grandchildren, Emma and Jacob Marek, Sean, Michael, Brett and Nicole McNulty; several great-grandchildren, nieces and nephews. A funeral service will be held at 11 a.m., Monday, March 25, at Christ Lutheran Church, Chippewa Falls with the Rev. Greg Stenzel officiating.